Finally we have had a response from Her Majesty's Revenue and Customs department. We have been notified that Wader Quest is now officially recognised as a charity by HMRC and as such we will now be able to benefit from Gift Aid and other tax exemptions and allowances. As a result, once we have worked out exactly what we can and can't do, we will be looking at sponsorships and donations that have been made since March 2nd (our official starting date) until now. We will be contacting existing sponsors to see if they are willing and eligible to sign a gift aid form so that we may benefit from this valuable extra source of income. That means there is even more reason for those who have not yet done so to sign up as a sponsor of Wader Quest, what with this extra income your sponsorship will bring us and the Prize Draw we are offering (see below) there has never been a better time to do it. To celebrate the second anniversary of the commencement of Wader Quest we are holding an Anniversary Prize Draw. Anyone signing up as an ordinary, family or life sponsor one month either side of the anniversary on the 1st of November (October 1st to November 30th) will be entered automatically into the prize draw which will be made on the 1st December 2014. 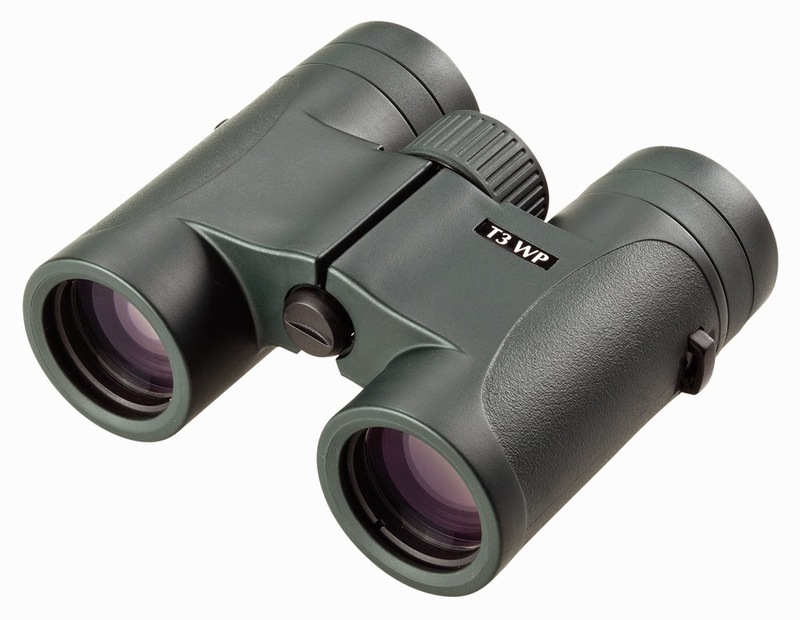 The prize is a splendid pair of Optictron 8x30 T3 Trailfinder Binoculars. Sponsorship income is currently being ring fenced to swell the Wader Quest Grants Fund which will be used to pay for equipment and materials via application to the fund from small wader conservation projects. The first such grant was made earlier this month when we purchased colour rings and measuring equipment which were sent to the Anak Burung Birdbanding Club in Indonesia where, under the supervision of the Indonesian Institute of Sciences, they are going to study Javan Plover and White-headed Stilt. We have since been asked to provide some mist nets for a project in Peru a decision about which will be made shortly. See the JOIN US page for rates, benefits and details of how to become a sponsor. We are very happy to welcome Allan Archer and Oliver Simms to the Board of Trustees. We first met Allan when we attended the OSME AGM at the BTO headquarters in Norfolk earlier this year, he joined Wader Quest as a sponsor and has been most supportive ever since. His business acumen will be essential as we drive Wader Quest's development forward as we strive to make a difference. Oliver we met when he came to volunteer with us in Brazil where he helped us with the small group of children we worked with. He brings a new, young, modern approach to the board and his connections with the Next Generation Birders Club, which he helped to set up and until recently served on the committee of, will certainly help us engage with the younger generation which is an important aspect of what we do. At the same time we sadly say farewell to former trustee Martin Simpson who stepped into the breach to help us set up the organisation in the initial stages. We wish him luck in his new life in Thailand.